Back-to-school advertisements are back on TV, and school supplies are sold in every store. We all know what that means: summer is almost over, and autumn is on its way. 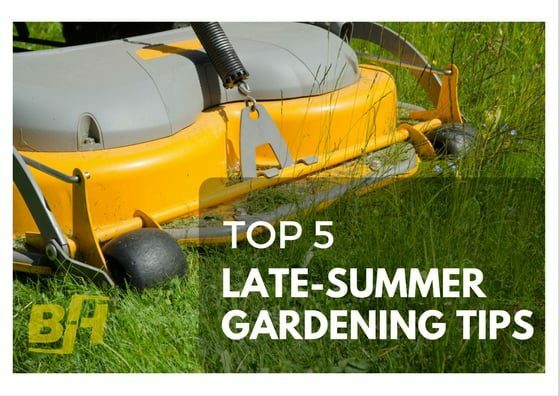 You spent all spring setting up your garden, but you aren’t sure how to make it last through the hot, long days of late-summer. We’ve compiled a list of late-summer gardening tips you can use to keep your landscape looking lush and beautiful, as well as prepare it for winter. By late-summer, your blooms have faded and no longer shine with the same beautiful colors they had during spring. This happens because the plant focuses its energy on creating seeds, instead of creating blooms. By removing the faded blooms of your perennial flowers, you can stop the plant’s natural reproduction process, causing it to produce blooms throughout the rest of summer, into autumn. Deadhead your plants the moment you notice blooms starting to fade. Raise the deck on your lawnmower to maintain longer grass. Longer grass stays much healthier in late-summer because the blades provide shade for the roots. Cut the grass during cool hours of the day – preferably in the evening. Water regularly. The hot, late-summer sun will dry out your lawn (and the rest of your plants) quickly, so water often. Water early in the day, so your lawn can absorb most of the water before the sun causes it to evaporate. Late-summer is the best time to prune your late pruning shrubs – it’s called “rejuvenation pruning.” By pruning your shrubs in late summer, you can guarantee a thicker, more healthy grow the following year. Weeds are, in a word, annoying. We’ve all seen them, we’ve all had them, and they’re as frustrating each year as they were the year before. Ideally, you should weed your garden throughout the spring and summer, however, you can do so during late-summer to keep the population under control for the following spring. It’s easier to remove weeds soon after they appear than after they’ve established a secure root structure. Try killing and removing weeds as soon as you see them – the more effectively you can control weeds in late-summer, the fewer you’ll see early next spring. There are hundreds of critters that can destroy your lawn or garden – sometimes they eat the plants themselves, other times they invest the ground below and destroy your garden from the root. If you don’t keep pests under control, they can completely destroy all of your hard work. The longer they are left to thrive, the harder they will be to remove. Identify pests as soon as possible. Look for signs, such as eaten plants, or grubs in your soil. Invest in the right products for your pest situation. 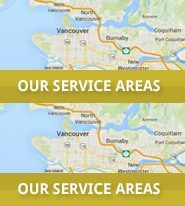 Contact a professional if your pest situation is extreme. Gardening during late-summer is much different than gardening during spring. At Bur-Han, we’ve got the necessary knowledge to keep your lawn and garden looking beautiful and healthy throughout the late-summer months. Contact us today to learn more about how we can help you prepare your lawn and garden for late-summer.